If there’s one thing that 25+ years of consumer package goods marketing has taught me it’s this: If you want to sell your products to consumers in the retail shelves, you need to first sell it to the gate keepers. Also known as retail food buyers, AKA category managers, AKA merchandising managers. That’s why I based a good part of my book, Moving Your Brand Up the Food Chain on interviews and surveys we did with over two dozen retail buyers. My goal was to base the strategies and tactics for selling into retail on data and/or facts. Not on my opinion or what I think will work from experience. So we are doing the same thing for our conference. Food entrepreneurs registering for the Emerging Indiana Brands Forum Lunch n’ Learn panel were asked to send an two questions they like to ask retail food buyers. The results represent more than just simple inquiries. Almost all the attendees gave us at least two questions they’d like to ask a retail food buyer and these inquiries will be the centerpiece of the conference. We plan to consolidate the final questions the send them to the buyers to help prepare them for the Lunch ‘n Learn buyer panel session. What are the top 3 things you look for in a new product? How much growth do you anticipate in heathy food market/non-GMO/organics? Is it better to price items high and run aggressive promotions? What is your top pet peeve in working with a new vendor? Who is responsible for rotating inventory in the store and monitoring best by dates? How can I get our local products placed in refrigerated display in the produce section of your store? What are the steps to get into retail shops? What are the Top 3 things you look for in a product partnership? How much volume can we sell in your store in my category? What real marketing value (i.e., $$) exists for ‘organic’ or ‘local’ products? 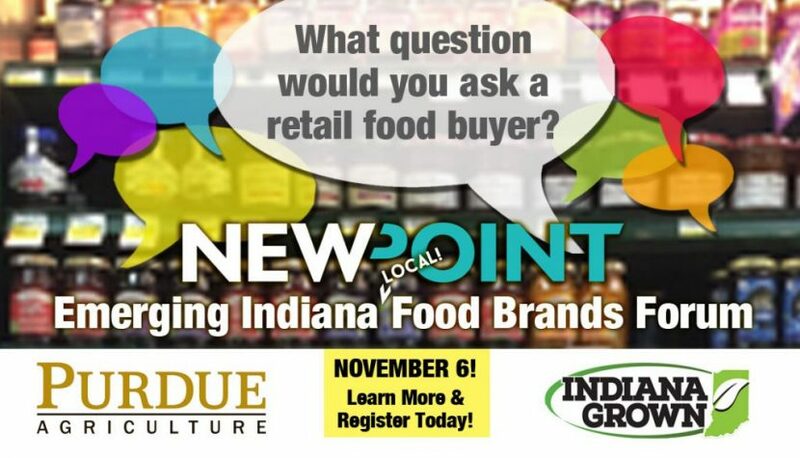 That brings us full circle – what 2 questions would you ask a panel of seasoned, professional retail food buyers? Register now and add your questions! Space is limited so do it today! Proof the Food Entrepreneur is Hungry for Growth Emerging Indiana Food Entrepreneur: THANK YOU for a GREAT Conference!